The Australian Institute of Architects has announced the 2018 winners of Queensland's Architecture Awards. 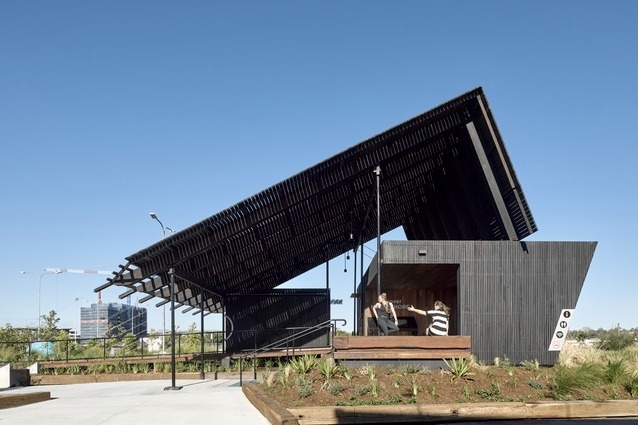 Shortlisted projects ranged from multi-million-dollar masterplanned precincts to a temporary pavilion made from recycled materials. Awards in each category were given to projects that considerately responded to their context and the often unique Queensland landscape. The public architecture category was awarded to the Liquid Blu Architects for their Blackwater Aquatic Centre. The jury noted that the centre responded "sensitively to the climate and its rural context", making a positive contribution to the community. 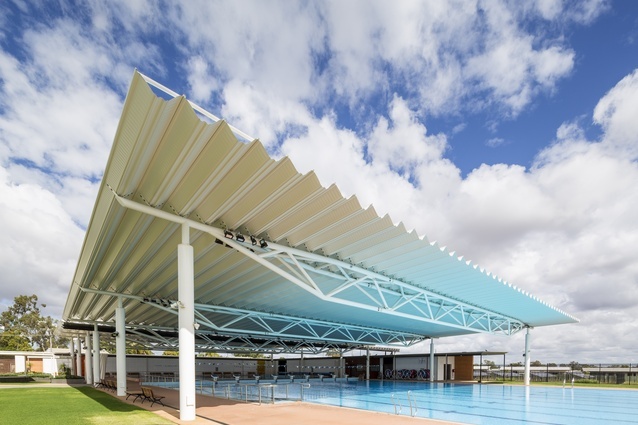 The centre is integrated into an already-established sporting precinct in Blackwater, a small mining community in Central Queensland. The commercial architecture category was awarded to Brisbane firm Cavill Architects in collaboration with Jasper Brown Architects. The heavily-landscaped Stores beat out much larger projects like the $650 million, Newman government-commissioned "Tower of Power" at 1 William Street. 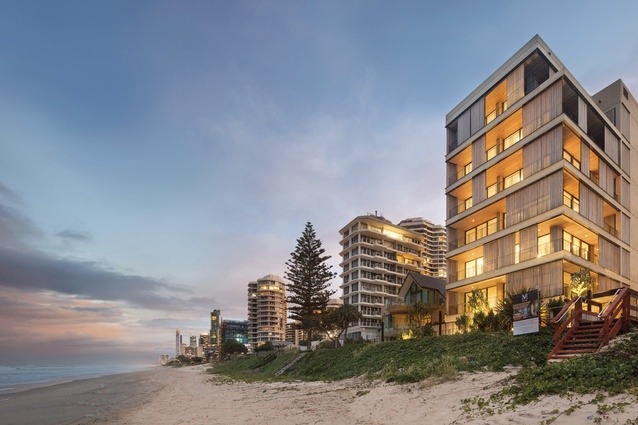 The jury noted that the architects' decision to retain and revitalise the existing tenancy made a successful contribution to the neighbourhood and streetscape. 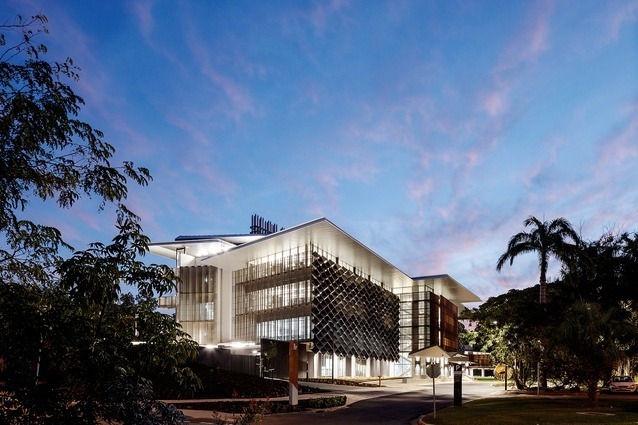 The educational architecture gong went to Hassell for its $83 million learning and teaching facility in the heart of James Cook University's Townsville Campus. The Science Place aims to make science visible, encouraging science-based careers. The jury said that the architects' response to the large-scale and complex brief is clear and the "scale of architectural intervention is balanced and refreshing." The building claimed Australia's first LEED Gold rating for an educational building. 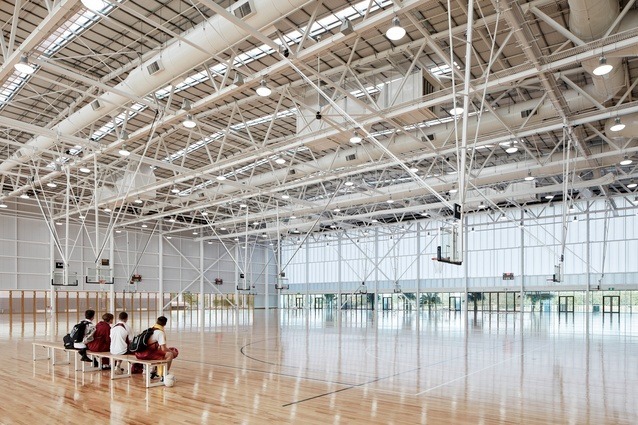 The interior architecture gong was awarded to BVN's Gold Coast Sports and Leisure Centre. Designed for the Commonwealth Games the jury noted that the project had to consider its legacy beyond the Games. "The interiors of the halls are white boxes that are pragmatically complex, yet allow good natural ventilation. "The project withstood its greatest test during the Games and will continue to be an elite sporting facility of world-class quality." 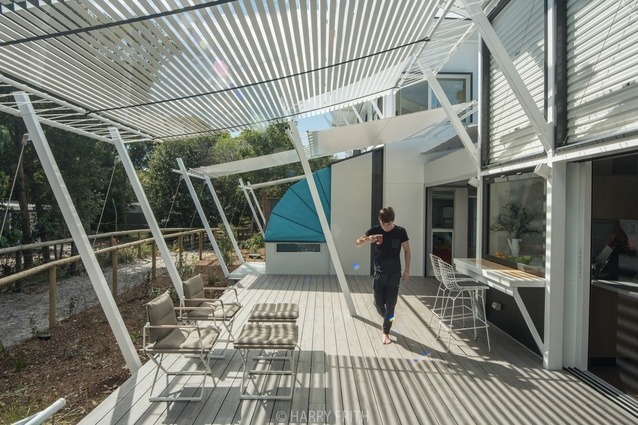 The residential architecture award for a new build house was awarded to Tim Bennetton Architects with Gabriel Poole for a lightweight holiday house in Stradbroke Island. The jury said that the building "demands of its occupants an engagement with the local environment and climate. "There is an inventive wittiness and lyrical delight that brings a sense of joy to the visitor." The residential architecture category for a house alteration was awarded to Cavill Architects its Gibbon St project. 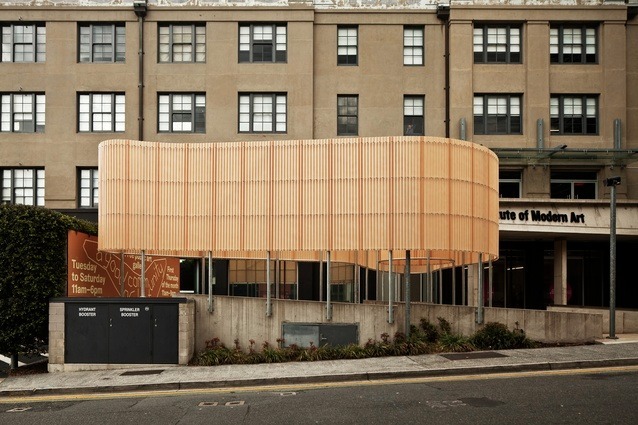 The jury noted that Gibbon St cleverly blurs the boundary between inside and out, creating a house that feels connected to the garden. 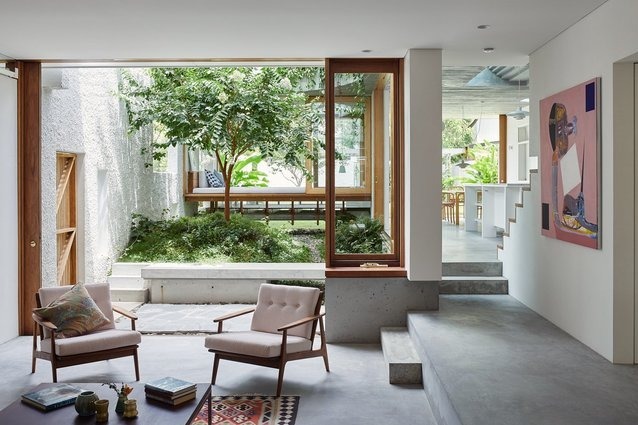 "The playful nature of the level changes amplifies both the connection to the garden and the experiential qualities of the house." A multi-residential building that "truly responds to its environment", the eight-storey building comprises just seven apartments. "In the context of multi-rise typology, this ambitious project makes subtle contributions to the public realm via shared landscaped edges," the jury wrote. The small project architecture gong was awarded to Anna O'Gorman Architect's Northshore Pavilion. A temporary addition to the Northshore site – a 300-hectare redevelopment in Brisbane's Hamilton – the project was built with timber recycled from the Hamilton Wharves. The jury noted that the project responds to the former wharves (now a concrete carpark) by providing an outdoor room for people to seek shade and engage with the river. 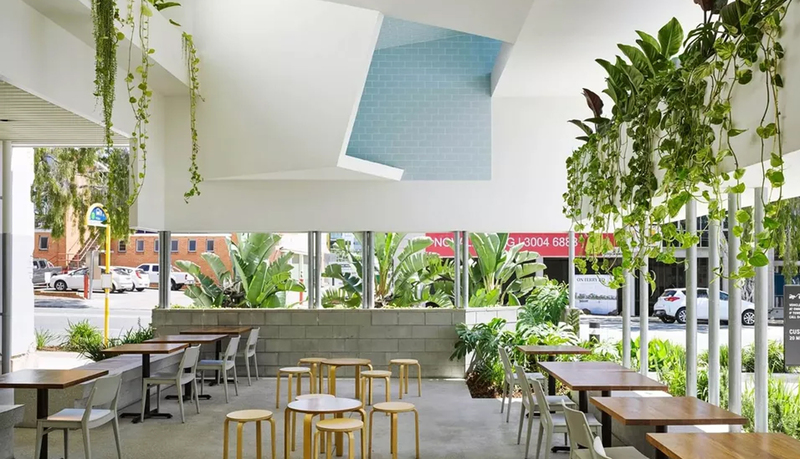 "The architect has responded to the colourful context of Eat Street to create a restrained and crafted building for visitors to enjoy." 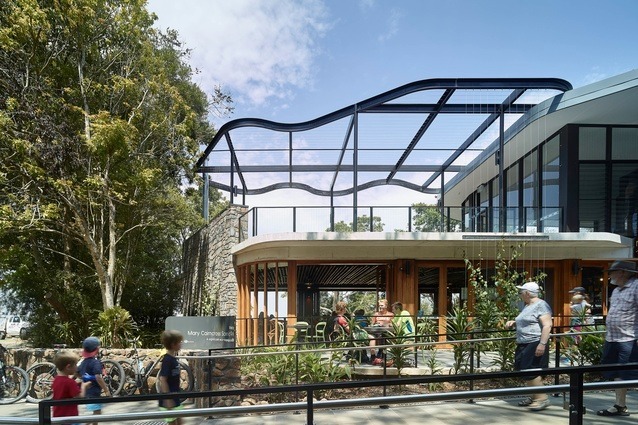 The sustainable architecture awarded went to Guymer Bailey Architects for the Mary Cairncross Scenic Reserve in the Sunshine Coast hinterland. Located in the spectacular Glasshouse Mountains, north of Brisbane, the project makes the most of the site's magnificent views. "Environmental and species management plans were adopted for endemic and endangered flora and fauna species to promote conservation and preservation of the site's natural habitat. 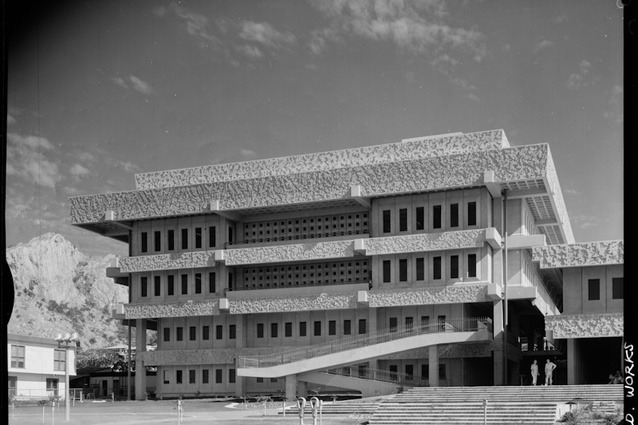 The brutalist Townsville Courts building took out the award for enduring architecture. Designed in the early 1970s, the jury said that the building remains "highly intact and the quality of the concrete workmanship enduring." "The buildings were designed to be seen in the round and convey a strong civic presence to the street." The urban design award went to "AAA", a collaboration between architecture firms Arkhefield, ARM and Archipelago Architects. 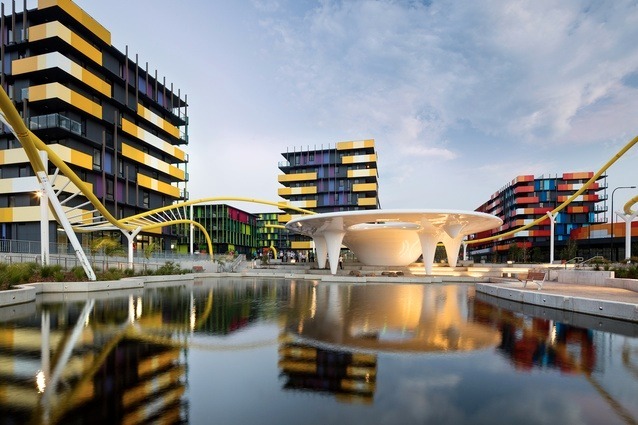 The Gold Coast Health and Knowledge Precinct is a 200-hectare area that was established to facilitate the creation of a mixed-use community with a particular focus on health knowledge. Fourteen hectares of the overall masterplan was reserved as the location of the Commonwealth Games Village, while leaving a mixed-use legacy town centre. The jury said the project establishes a critical link within the larger Health and Knowledge Precinct. "An extremely complex program introduces an active residential heart through equitable pedestrian-orientated streetscapes with a playful aesthetic linking directly into the wider community." The Australian Institute of Architects Art & Architecture Prize was awarded to the Corps à Corps at the Institute of Modern Art. Designed by artist Celine Condorelli, architect Dirk Yates and landscape designer Pete Shields the jury said the project seamlessly integrated art installation, landscape and architectural intervention. "Signalling entry to the Institute, the installation is carefully formed to create shade, define space and invite occupation." 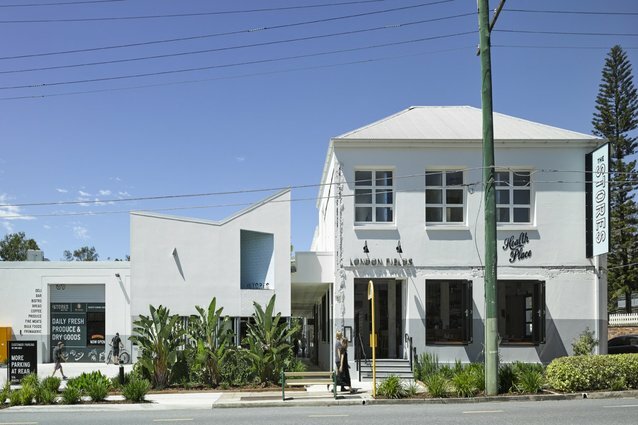 Main image: The Stores, West End by Cavill Architects in association with Jasper Brown Architects.